Bus stops are generally pretty plain and boring, but every once in a while you find some pretty creative versions. 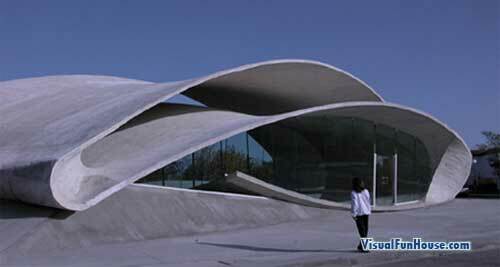 Below is a collection if some bizarre bus stops from arround the world. A quick apology for my site being down the other day, my host decided to suspend it due to a surge traffic killing the server.. but it should be good now! Back to the bus stops, ever waited inside a giant strawberry? How about one made of leds or a soccer net? Well check out some of the spectacular bust stop creations below. 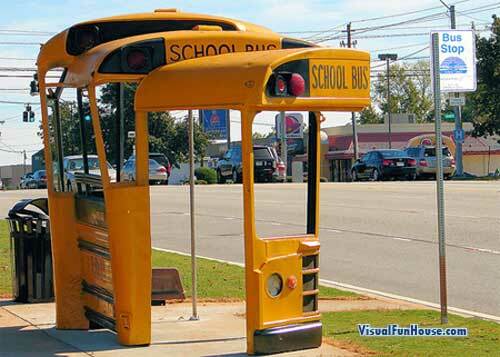 Bus stop of buses, this is a creative use for some old school buses! some art student must of got an A for this funky stop. This spectacular creation is a giant flowing piece of concrete created by Justo Garcia Rubio from Casar de Caceres in Spain. 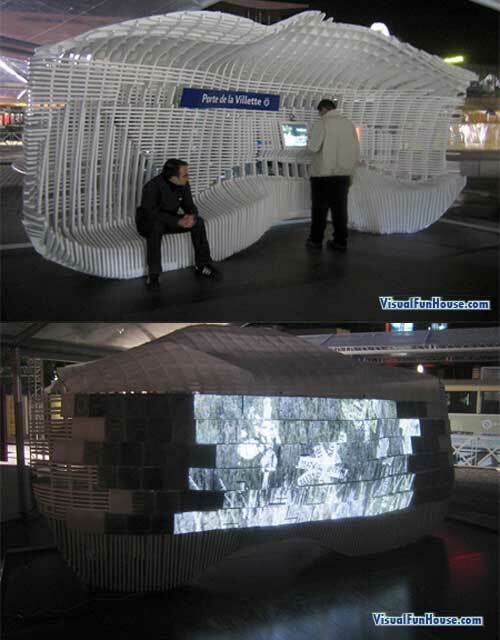 Digital Art comes to live with this interactive bus stop. Located in Paris as part of the smart mobilities project. While waiting for the bus you can play with an interactive screen while bypasses can admire your live art work on a six foot led wall built onto the back of the digital bus stop. How about this for luxury, this is the first air conditioned bus stop i have ever seen. 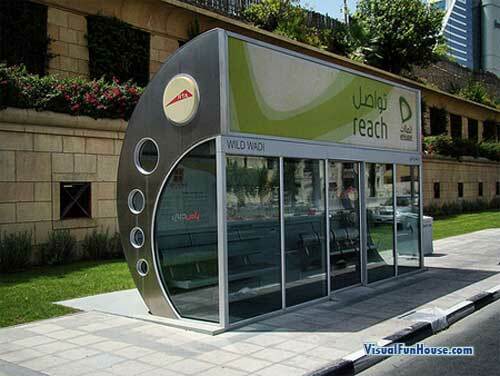 This luxurious bus stop is located in Dubai, home of lots and lots of oil wealth. London knows how to do things right! Local artist Bruno Taylor has starting building swing bus stops! now everyone can squeeze in alittle play time. 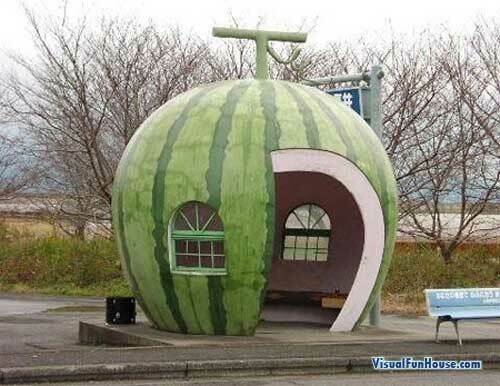 Life is a melon, at least in japan. 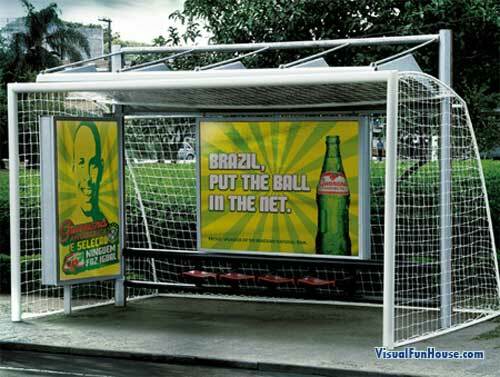 Soccer fans would love this sports styled bus stop. Soccer or Football nets were places all around Brazil as part of the world cup promotions. Number two doesn’t even look like a bus stop. 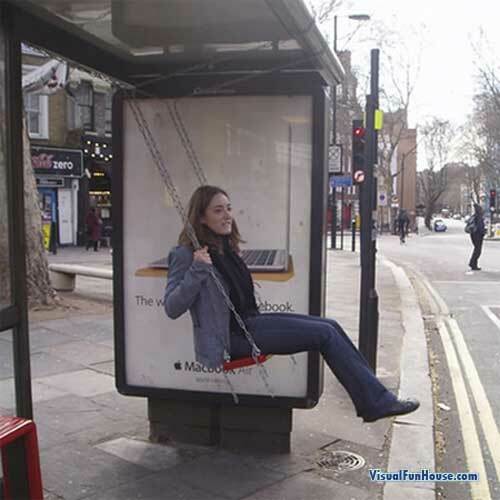 i love the swing bus stop! now i really want to ride the bus more!